Things to do. Where to stay. How to get there. A block of rooms have been reserved at special rate at the Wyndham Grand in Downtown Pittsburgh. 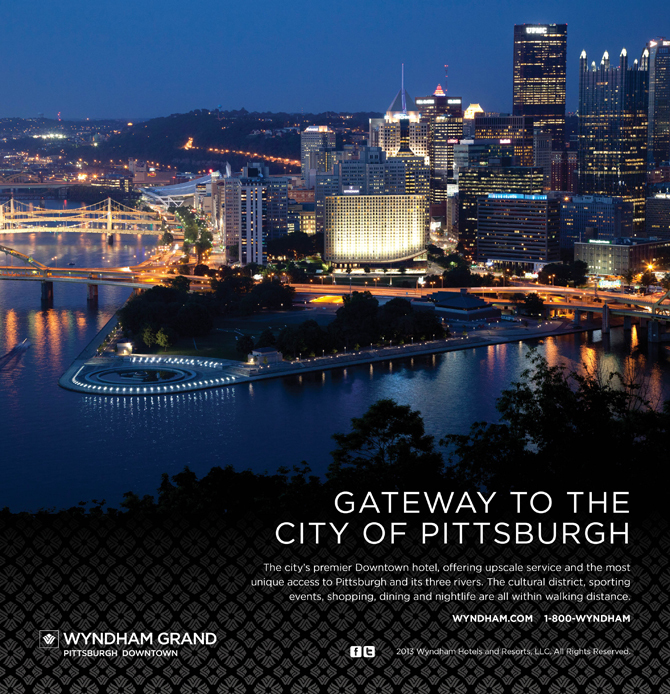 This hotel is conveniently located walking distance from our reception venue, PPG Wintergarden. The link below will take you to our block page. If you are calling by phone, use Harmon/Jenich Wedding for your special rate. Go North on Airport Blvd and bear slight left to exit Airport. Take 376E towards Pittsburgh to 279N. Exit at 70A for CONSOL Center and take Blvd of Allies / Liberty Avenu exit. Make left at end of ramp onto Commonwealth Place. We recommend sharing an Uber or Lyft to and from the airport. Renting a car is not necessary. For out of town family we will be providing information for a shuttle from the Hotel to the ceremony & reception. A sign up will be available. Our Hotel block is conveniently located walking distance from the reception at the PPG Wintergarden. Parking for the Ceremony at the Mellon Walled Garden is located in the lot of the Pittsburgh Center For The Arts at 6300 Fifth Ave, Pittsburgh, PA 15232. Additional street parking is available on Shady Avenue. However, parking is limited, we recommend ridesharing services & carpooling. PPG Parking is located in the lot for $5 a day. Lot directions in the link below Street parking also available. 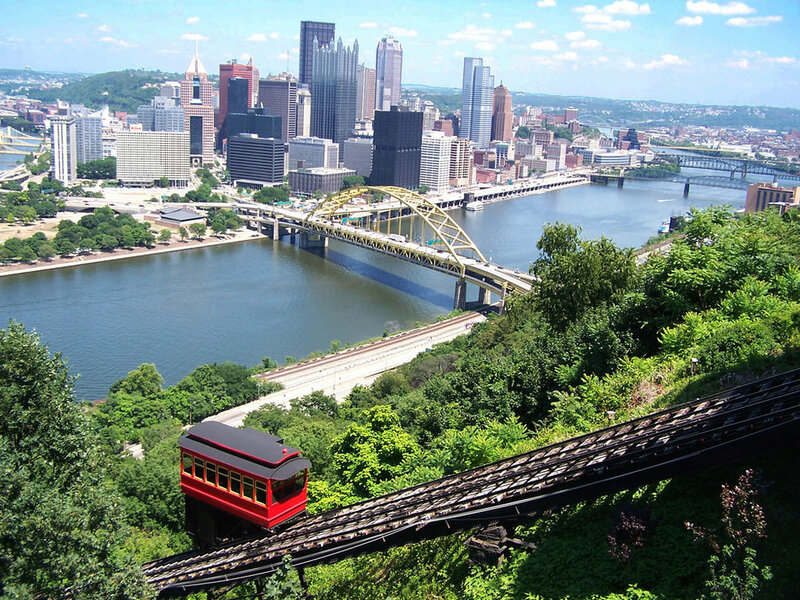 We know you'll be busy celebrating with us, but in your downtime in Amy's beautiful hometown- we want you to know all the wonderful things Pittsburgh has to offer. 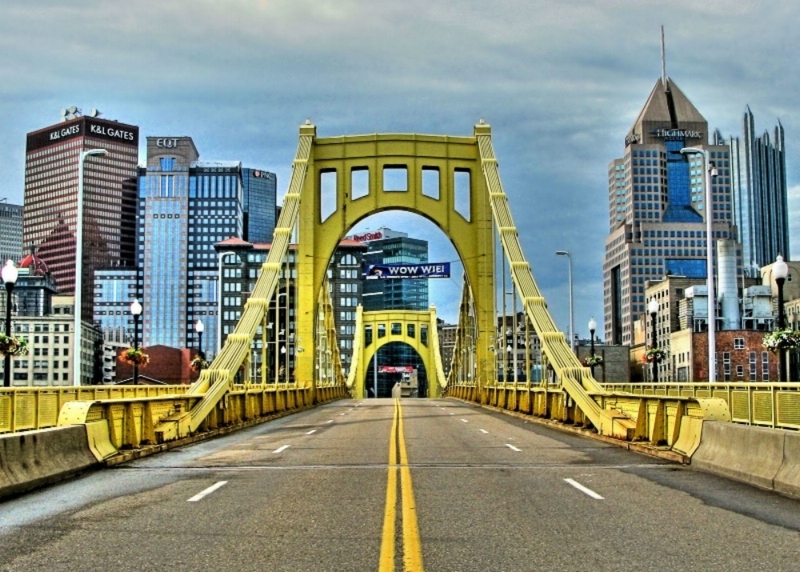 Here are a list of some personal favorites and city treasures. Join us for drinks post rehearsal dinner on Historic Carson Street. Visit the point and walk along the 3 Rivers! Walking distance from the Hotel.